Opinea Research Institute produces online market research studies for its partners and clients by sending questionnaires to client contacts and panellists who have voluntarily registered on the Opinea website. This document stipulates the general terms and conditions of use by Opinea Panel Members, i.e. account holders on the website http://www.panelopinea.com. Opinea Panel Members can only be individuals and not corporate bodies. All companies are expressly forbidden to become members, as are associations. - having accepted the terms and conditions. - replied to the registration confirmation email sent by Opinea. Opinea Panel’s administrator reserves the right to accept or refuse any registration request, without justification. The panel Member is identified by a username and password, which have been confirmed by Opinea. The password allowing the Member to log in and to connect to various services is private and confidential. The Member is solely responsible for the use of his/her password. Any swapping of usernames and password between Members is strictly forbidden. As a general rule, the panellist undertakes to actively participate in the surveys that he or she receives on a regular basis. The panellist is under no obligation whatsoever to take part. - The Member will respond truthfully and spontaneously to the questions asked of him/her, reflecting their personality, tastes and interests. - He/she undertakes to keep secret the nature of the products and concepts mentioned in the surveys. - The panellist undertakes to update his/her personal details. - The Member may not hand over some or any of these rights and obligations to a third party. Each Member may only register once. His/her contract is personal and nominative and each Member has a single username. Where a Member has failed to respect his/her obligations and the code of ethics, Opinea reserves the right to withdraw access to his/her account immediately and without the need to give notice. Their cash compensation account will be cancelled without delay. This contract becomes effective from the moment the Member accepts the terms and conditions, provided that Opinea confirms the account has been opened. This contract is applicable for an indeterminate period. Each party may terminate the contract without notice and without justification. Opinea aims to ensure access to the website panel.opinea.com 7 days a week and 24 hours a day but is under no obligation to do so. Opinea may suspend access to the service for maintenance and updating, or for any other technical reason. Opinea is not responsible for these temporary interruptions nor any consequences they may have for the Member or any third party. 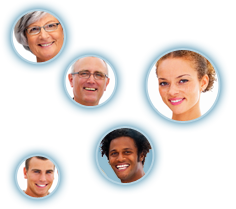 Opinea does not provide any personalised help or hot-line. The Member should consult the section “FREQUENTLY ASKED QUESTIONS”. Opinea may terminate or modify the nature of its services at any moment, and without notice. Given that the services provided on panelopinea.com are free of charge, Opinea may not be held responsible for any damages suffered by any Member or third party. The Member declares and guarantees that he/she is fully aware of the nature and constraints of the Internet, particularly the fact that technology used to transmit data over the Internet is never 100% reliable or secure. Therefore, while we use all appropriate methods to protect your personal information we cannot guarantee its absolute security. For presentations, promotions and marketing purposes, Opinea may quote certain information, which a Member has specifically approved as being available for use. On accepting these terms and conditions the Member gives Opinea the permission to do this. Given the technical progress of this service, the interested parties agree that Opinea retains the right to modify its services and/or its terms and conditions. Opinea undertakes to inform all Members of these modifications by detailing them on the website panel.opinea.com where Members are at liberty to consult them. In case of dispute and where an amicable agreement cannot be reached, all litigation will be submitted to the competent courts.